Your photography experience doesn't end the day you receive the link to your session images. Where your images are printed can make or break your session. When you spend money on custom photography, you are spending money on the time and talent it takes for me to edit your images to perfection. Skin tones, contrast, color saturation is all tweaked to make the highest quality images designed and edited especially for you. It is crucial that your images are printed through a high quality photo lab so your photos print exactly how you see them before they are printed. Most labs available to the amateur photographer or the photography client are not top notch, which is why it is an important step in your photography experience to order your prints through your photographer. 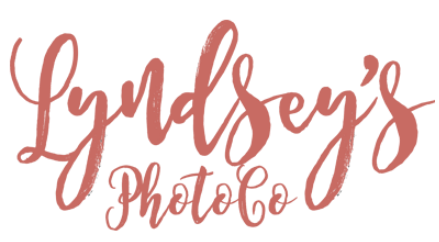 There are labs I can suggest if you choose to print your images on your own, but the quality and consistency will be less than the high quality, professional print labs I use for my business and personal image printing. I understand you can print your images at Wal Mart for $.10 a piece, but when you do that your photos are being destroyed. All my hard work and all the money you spent on your session is flushed away with the poor ink, paper and machines used at labs like Wal Mart, Target, CVS, Costco, Shutterfly, Snapfish, etc. The contrast is typically increased creating more drastic shadowing and the color is almost always off. Not only are your photos not being showcased as beautifully as they could be when you print through a poor lab, but it takes away from my credibility as a photographer. Friends and family who visit your home see the photos that were taken by me and think, "why does that sweet baby's skin look green?" They don't realize you have made the choice to take the quality down quite a few notches by printing elsewhere, which makes it seem as though I have not done my job correctly.